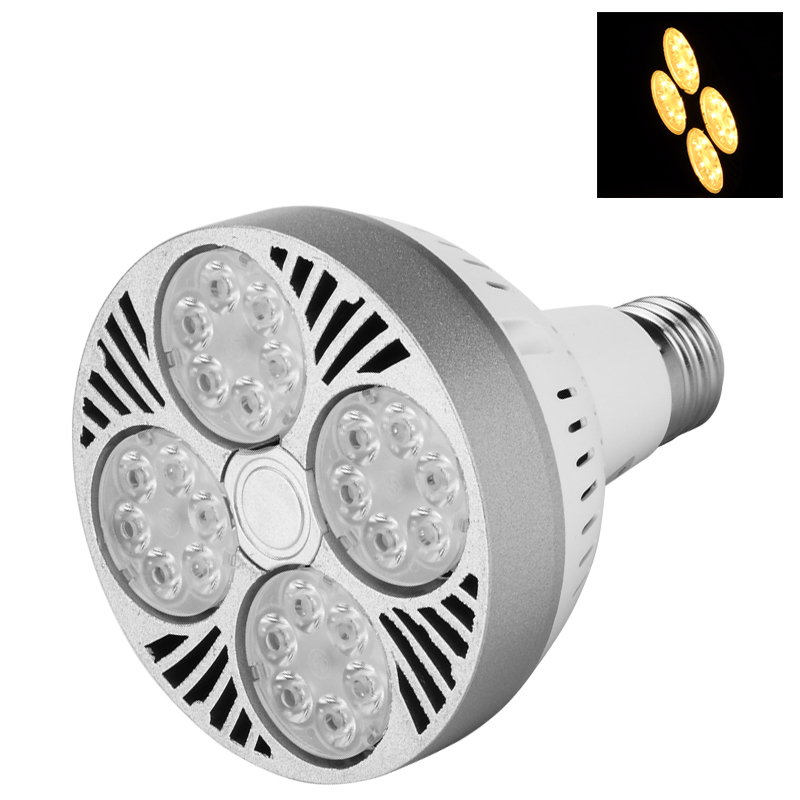 Successfully Added E27 LED Spotlight PAR30Y 35W - E27 Fitting, 2800 Lumen, 2800 to 3200K, 50000 Hours to your Shopping Cart. With a long life this energy efficient durable 24 piece LED light look after your wallet and the environment. This energy saving replacements with it 2800 to 3200K warm light is the perfect way for your commercial building, business, hotel or home to save you money while offering a warm welcoming atmosphere. This cheap clean technology will be sure to slash your electric lighting bills and is much cheaper to run than CFL bulbs. With a longer lifespan this high performing LED light is an eco friendly way to illuminate any building and is compatible with dimming switches for extra control. Suitable for E27 fittings this 24 piece LED spotlight with its 25 degree beam angle is your low voltage lighting solution. Offering up to 2800 lumens of light and with a 50000 hour life span this LED bulb is made to last and will offer great cost efficiency lighting that will help save the planet as well as your wallet. This E27 LED Spotlight PAR30Y 35W comes with a 12 months warranty, brought to you by the leader in electronic devices as well as wholesale LED lights..